Mmmmm... chicken and dumplings, macaroni and cheese, collard greens. 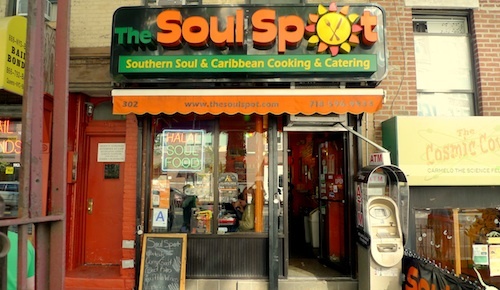 This soul food restaurant is one of Brooklyn's best! I am pretty sure one of the meals (a main and two sides, $9.50-$10.50) can feed two normal-sized people. 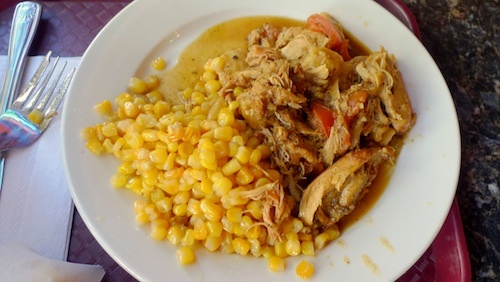 Chicken and dumplings with corn. Meatloaf with mac & cheese and stewed okra. Everything is on a steam table, so just make sure not to order what has obviously been sitting around all day. They also have decent no-frills lunch specials from $4.99-$6.99. 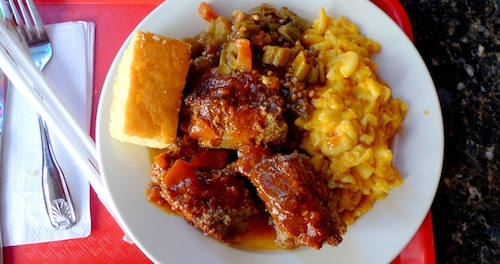 On more recent visits, I have noticed that the menu has added and now leaned more towards the Caribbean side of soul food, but sticking with the southern classics has yet to fail me. They look better and fresher on the steam table anyways.